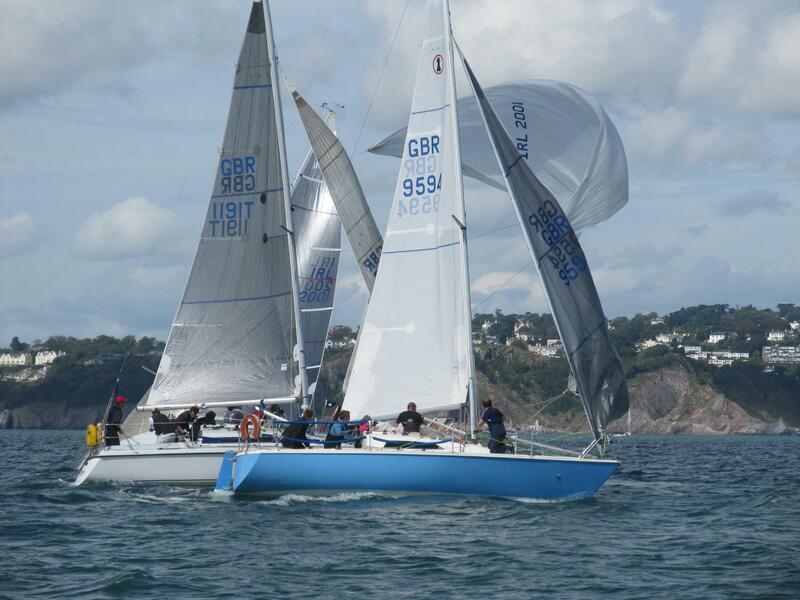 The owner had decided to sell, and that 5 of us would buy a racing yacht together to race more competitively and share the costs, and in August, the deal was done and Mischief sailed off into the sunset… round the corner to Plymouth. We then started looking seriously for a new yacht, at quarter tonners and Impalas in particular as this model would provide us with some good competition where we are (there are 4 Impalas in Brixham, and several in Plymouth, and a few other boats that are similar.) 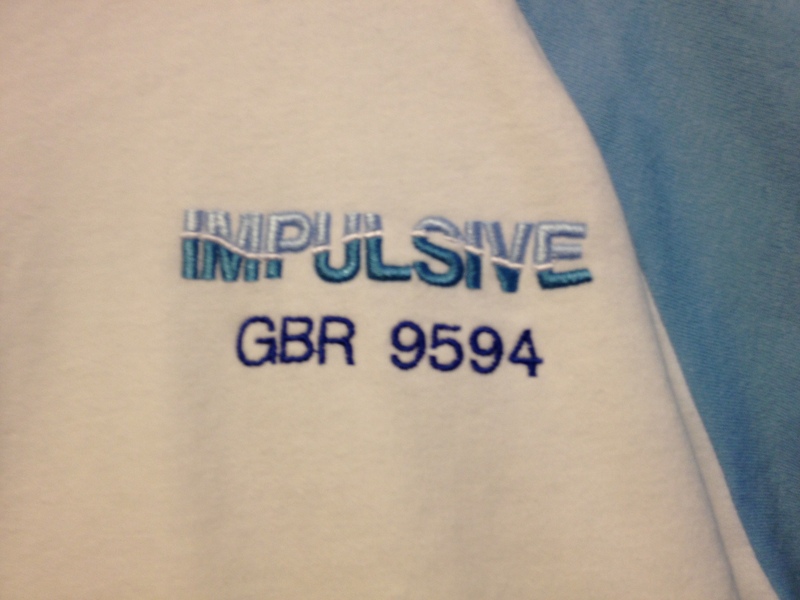 We found out that Impulsive (a local boat with a lot of history)was sort-of up for sale – the owner was up for selling us 1/6th of the boat each, so that there would be 6 owners, and whilst I was on holiday, through several phone calls and text messages, we bought the boat! We are sailing Impulsive a little more seriously than Mischief, we have some new sails, and the yacht itself is more competitive, so we got together to design a new logo for some new crew gear. 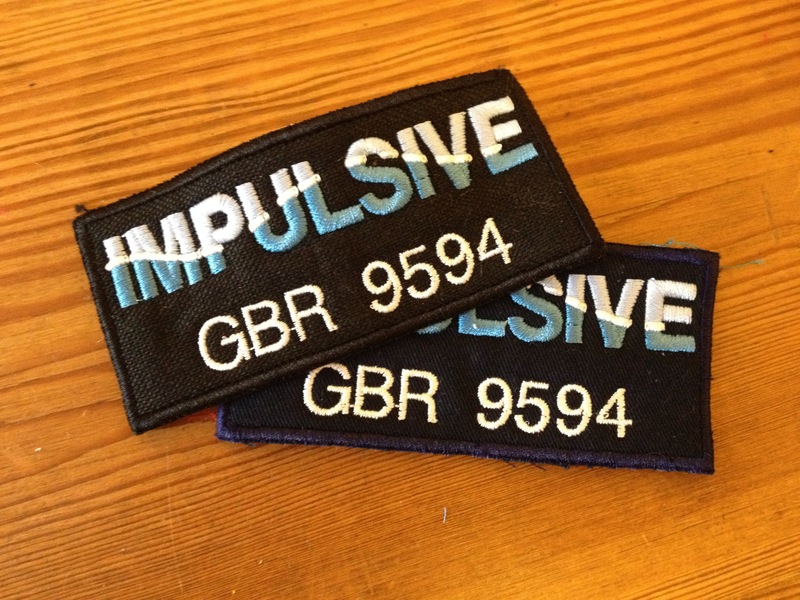 There are many superstitions around sailing and the sea, no green on the boat, if you change the name of the boat, you change the luck, and it’s bad luck to wear gear with a different name on, so I got on it and designed a new logo for Impulsive (which we think is quite an appropriate name really!) ready for embroidery. So far we seem to be doing well, we had some good results in the local regattas, and a few 1sts and 2nds here and there too! 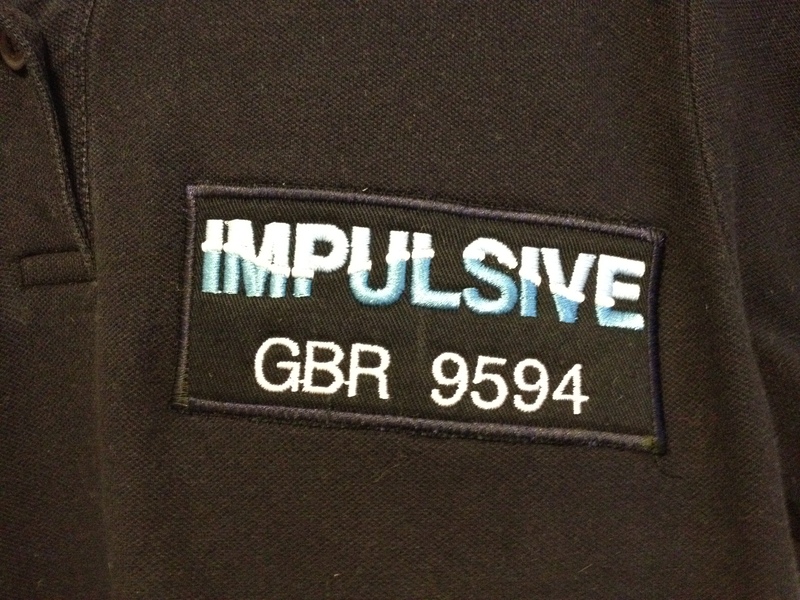 Thanks to Paul at Crabstitch for the embroidery too!